The photo above—which appears to show Davey running into traffic, presumably in defiance of his dog Goliath’s warnings—is actually a shot of the new $14 million Active Safety Test Area that General Motors has just opened at its famous Milford Proving Ground. Partially in response to the ignition switch recalls, GM has been making a concerted effort to transform its safety culture. The goal is zero defects, as well as developing an ever-expanding array of safety features. 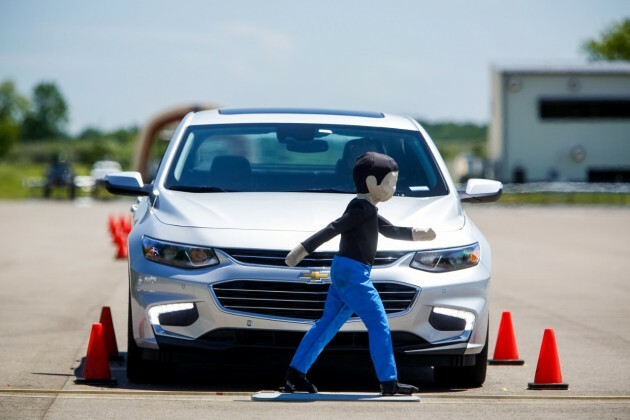 GM is making available 22 active safety technologies on 2016 model-year vehicles, including automated braking that will prevent a car from being involved in a front-end crash at city speeds, and another system that will automatically apply the brakes if a pedestrian is in front of the vehicle. 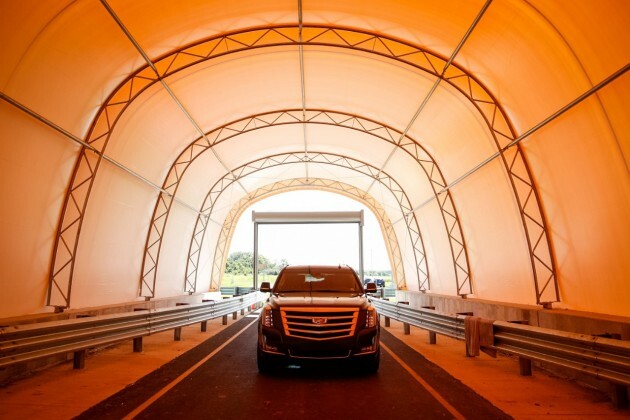 The American automaker is also testing vehicle-to-vehicle (V2V) technologies, which will be made standard on the 2017 Cadillac CTS, and which could pave the way for self-driving cars. “In addition to helping customers all over the world avoid crashes, many of the technologies we develop and test here are integral to our ongoing V2V communications work and even the development of future autonomous vehicles,” said Cynthia Bay, director of Active Safety Electronics and Controls.